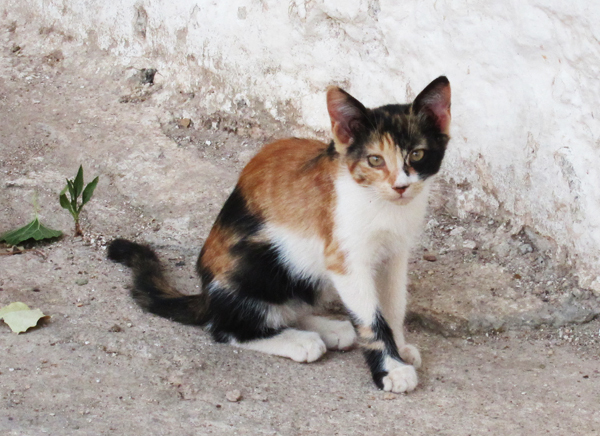 The Greek Islands are infested with cats. Tough, mean alleycats that you used to be able to watch do dirt in cartoons. 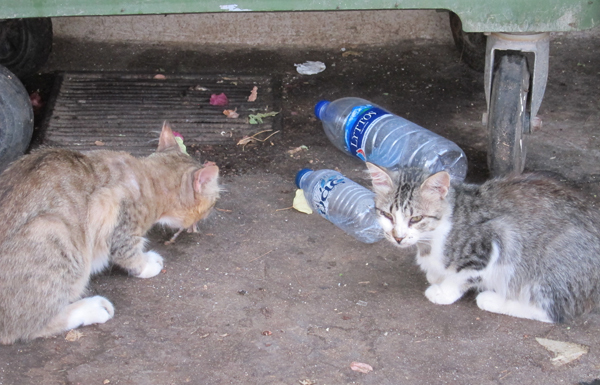 Bad cats. Cats that know how to get food off your table. Cats that bite. 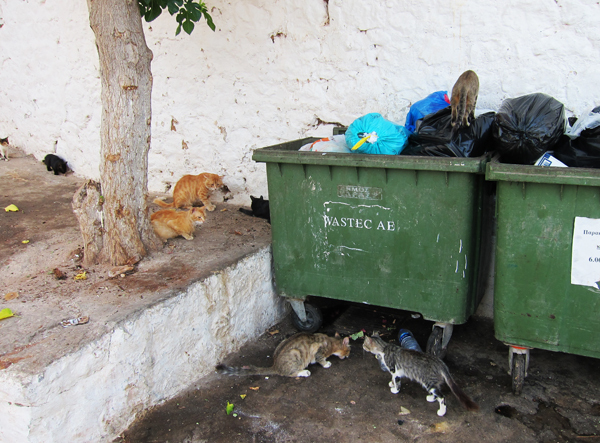 This summer I got to know one of the most murderous cat gangs on the island of Hydra, the dumpster set known by the children simply as Skoupídimoo - which sort of means little trash. Their leader, Cyclops. 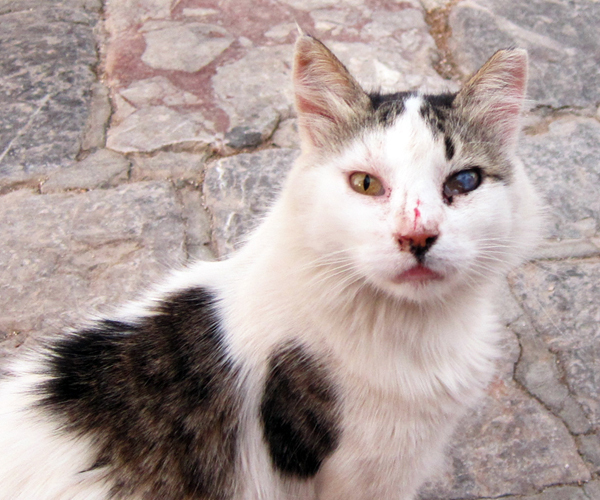 Lost his eye in a fight with a horse. Skoupídimoo at their main dump. They kill dogs (to eat). No mercy. They swim too. Come back to land with Snapper, Gruper, you name it. an old yah-yah - one of those Greek Grandmother types that dress in black. Skata, which means poop. This one actually smokes cigarettes. but they called him Hatey because everyone hates him so much because he's so smelly. 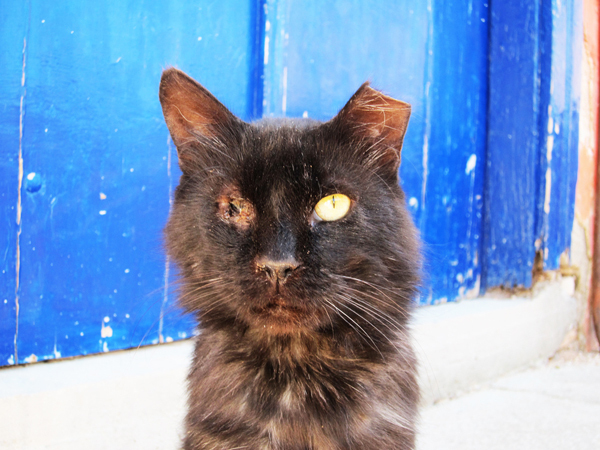 He used to be called Smelly, but it wasn't enough so now they call him Hatey. gunning for enemy eyeballs with her claws. 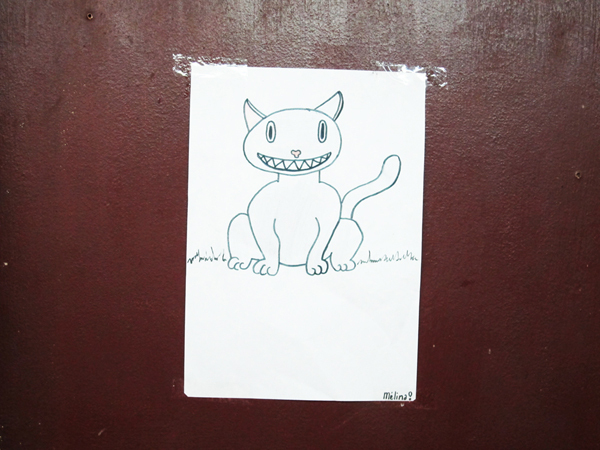 Melina, the young girl who signed this drawing is looking for her cat, Deborah. Let's hope Deborah didn't fall in with the wrong crowd. Thanks for mentioning Hydra in your blog. Looks like we've seen Hydra from completely different perspectives. My Hydra is described in details in this article: http://www.agsinger.com/romantic-trip-of-a-lifetime-best-greek-island-for-young-couples/. 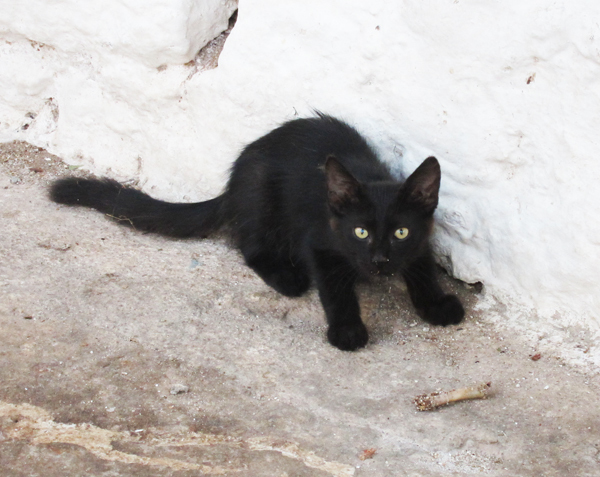 Traditional stone mansions, narrow cobblestoned streets, secluded squares - it's all about Hydra. One of the most beautiful islands I've ever seen!